Batman V Superman: Dawn of Justice has now entered week three of its box office (at the time of writing this), even as the larger film-loving community continues arguing about the film itself - not to mention, what its box office means, in terms of not only the general reception for Batman V Superman, but Warner Bros. Pictures' own plans for future DC Extended Universe movies too. The Zack Snyder-directed superhero film received a mixed-to-negative critical reception (including some unusually vituperative reviews from critics), even before Batman V Superman enjoyed a dynamite domestic box office debut of $166 million… even as its numbers dropped from Friday to Sunday of its opening weekend. Then, on its second weekend, Batman V Superman earned $52 million, crossed the $200 million mark (and $500 million mark worldwide) and remained #1 in the U.S. - but suffered a sizable drop from the previous weekend, of nearly 70 percent. As of now, according to Box Office Mojo, Batman v. Superman: Dawn of Justice has earned $261.4 million domestically, which is third among U.S. releases so far in 2016 (Deadpool is first with $355 million, followed by Zootopia with $275.9 million.) However, Batman V Superman remains well short of Marvel’s Avengers: Age of Ultron, which earned $459 million domestically when it was released back in 2015. So should Warner Bros. really be worried? Yes and no. Clearly, Batman V Superman isn’t an Amazing Spider-Man 2 situation in which the launch of a larger shared (superhero) cinematic universe failed to deliver the results its studio backer wanted - leading, in that case, Sony to reboot that comic book property on the big screen as part of the Marvel Cinematic Universe, instead. 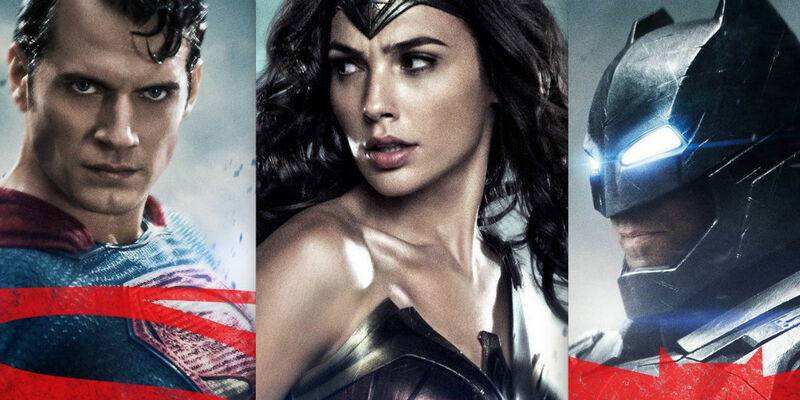 Batman V Superman is performing stronger by comparison, and two key elements to the future of the DCEU - Gal Gadot's Wonder Woman and Ben Affleck's Batman - have received by and large widespread praise, unlike any of the shared universe elements in Amazing Spider-Man 2. On the other hand, Batman V Superman's box office seems unlikely to top that of Deadpool - a movie based on a comic book character who is quite popular, but nonetheless has considerably less name-brand value than either Batman or Superman (much less the both of them combined). Deadpool also had much better reviews by comparison, in addition to positive word of mouth, and staying power. Point being: Batman V Superman is by no means a failure, but it's not at all an unqualified success, either.